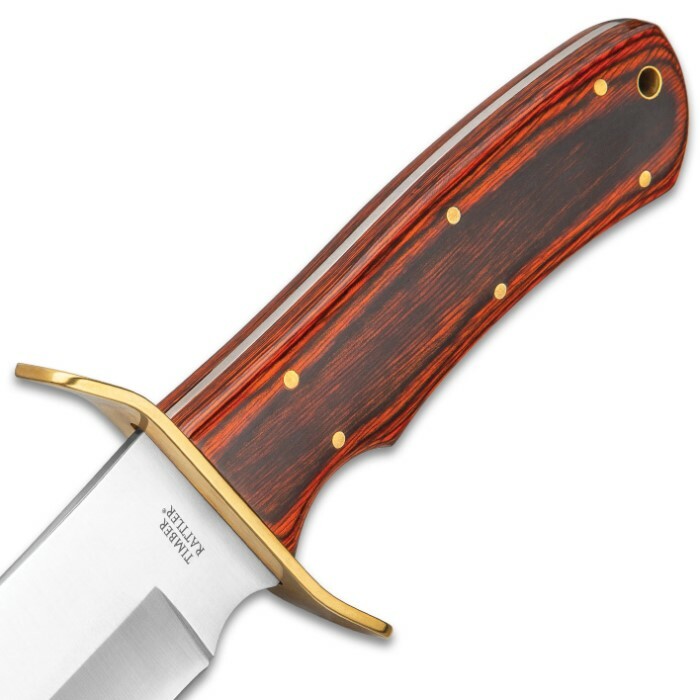 Timber Rattler Coliseum Battle Bowie / Fixed Blade Knife - Stainless Steel - Hardwood Handle, Brass Pins, Brass Guard - Nylon Sheath - Collecting, Field Use, Display and More - 15 1/2" | BUDK.com - Knives & Swords At The Lowest Prices! 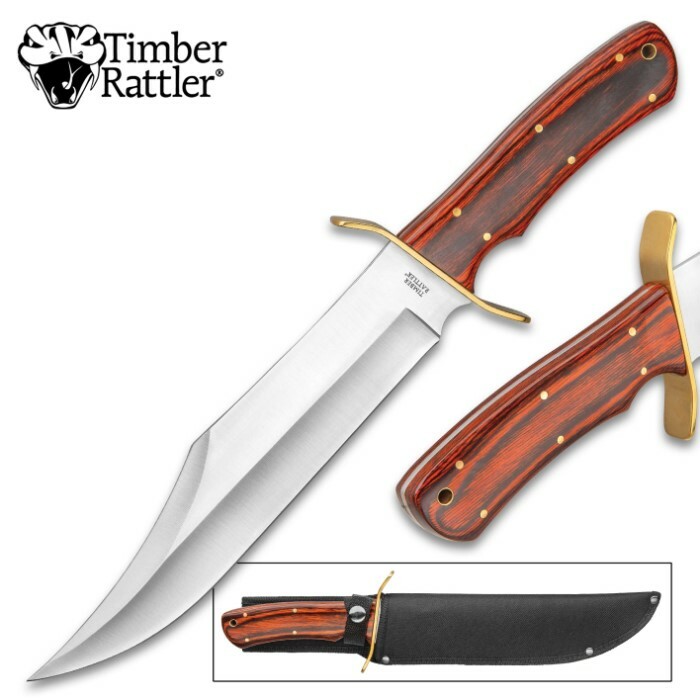 The Timber Rattler Coliseum Battle Bowie Knife is a gargantuan fixed blade that is unbeatably tough. It features a whopping 9 3/4” stainless steel, full-tang blade. 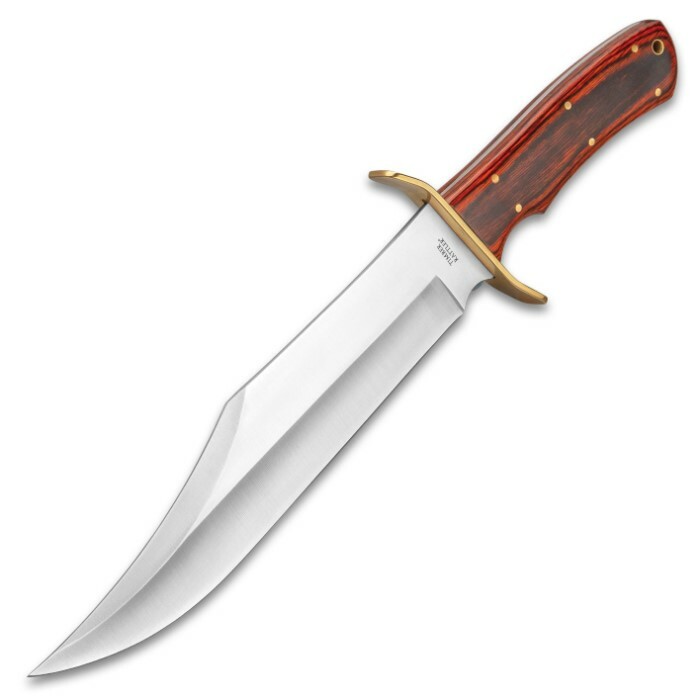 The handsome hardwood handle has silver pins that not only secure the blade, but also accent the handle. The guard is polished brass. 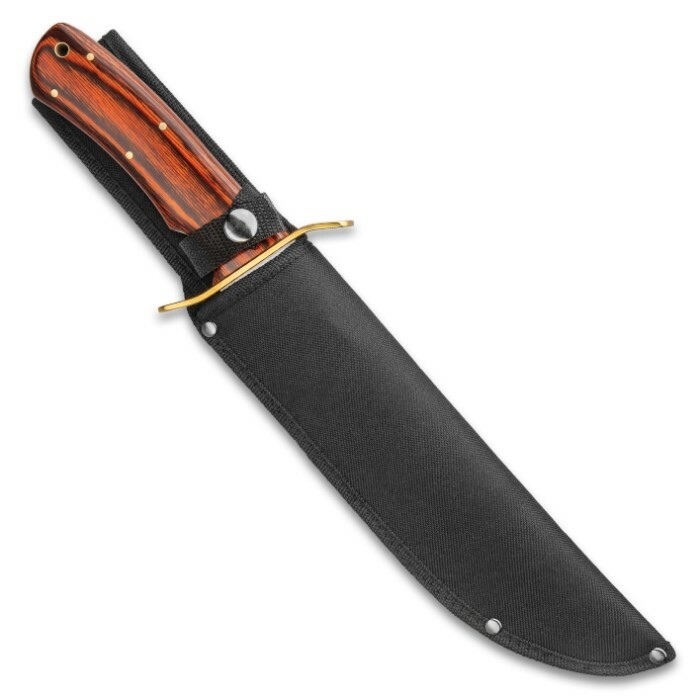 A nylon sheath with a belt loop houses the mighty blade and the bowie is an impressive 15 1/2” in overall length. I have purchased several knives from Kennesaw and have been pleased with their looks and especially their reasonable prices. Bait a bad knife for the price. It did come very very dull so I had to do a lot of sharpening other then that a solid long blade knife for the low price. I’ll be using it for camping trips and such this summer. So I hope it hold up. The knife is pretty big, and the blade is very impressive! Quite happy with this. I ordered 4 of these big knives, and was not disappointed. All 4 arrived in great shape and made excellent Christmas gifts. This is a sturdy and good-looking knife. Received mine on BOGO and this Rattler is sweet! Sharpened it up and it is ready for yard use. Another fine Timber Rattler to my collection.